1. A Danite city (Josh. xix. 44). 2. 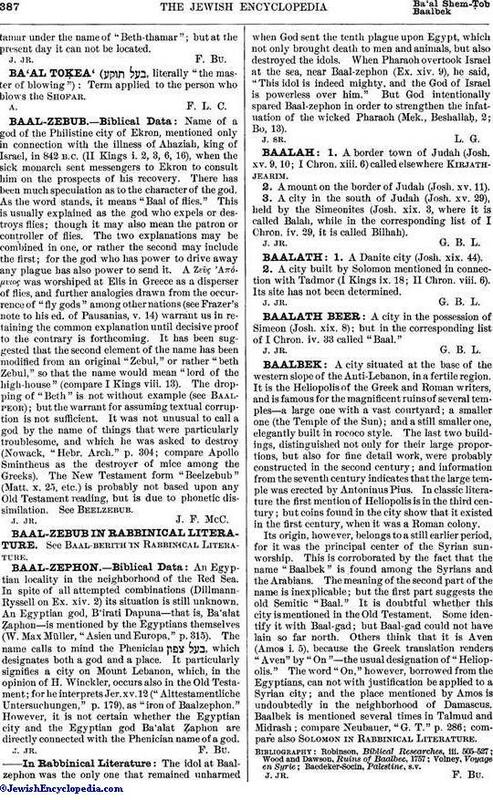 A city built by Solomon mentioned in connection with Tadmor (I Kings ix. 18; II Chron. viii. 6). Its site has not been determined.